If you think Instagram is just for sunsets, selfies, and staged shots of food, you are sorely mistaken. 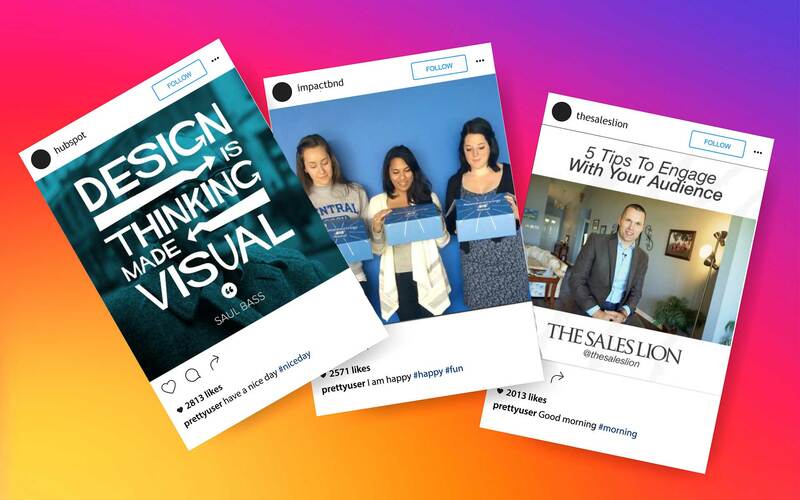 With Facebook at its helm, the number of active users growing every month, and 85% of top brands adopting the social platform as an avenue for reaching their audience, there is no better time than now for your company to get on board with Instagram as a marketing platform for your business. There are over 600 million active monthly users on Instagram, over 95 million photos and videos are shared each day and those images and videos garner more than 4.2 billion "likes." Imagine if your posts were able to generate even a fraction of that kind of engagement. With users so actively involved with your brand, you have a greater opportunity to reach and be heard by them, and ultimately, generate more sales. Here are some of the essential do’s and don’ts of using Instagram for marketing your business in 2019. As with any social network, if you're going to bother with having a brand presence, you need to commit to at least posting regularly to your account. Having an Instagram account with nothing on it -- or with no posts for weeks or months -- is worse than having no account at all. How many times should you post to Instagram per day? Consistency is key with Instagram. Data shows that brands that post between two and 10 times per day get the best results with their Instagram marketing efforts. The exact number of posts that you make should depend upon how much you have to say. Better to post fewer updates with great photos and videos than a larger volume that aren't going to capture the interest of your audience. Instagram itself does a great job with this. They interact with their users via the "weekend hashtag project" (WHP). If you follow their account, you know that every weekend, the team challenges their community by asking users to create photos around a designated theme, with the incentive being a chance at getting featured as one of their favorites on their profile throughout the week. Another way your business could generate photos and interact with your audience is by creating a dedicated hashtag where users can share their photos with you. 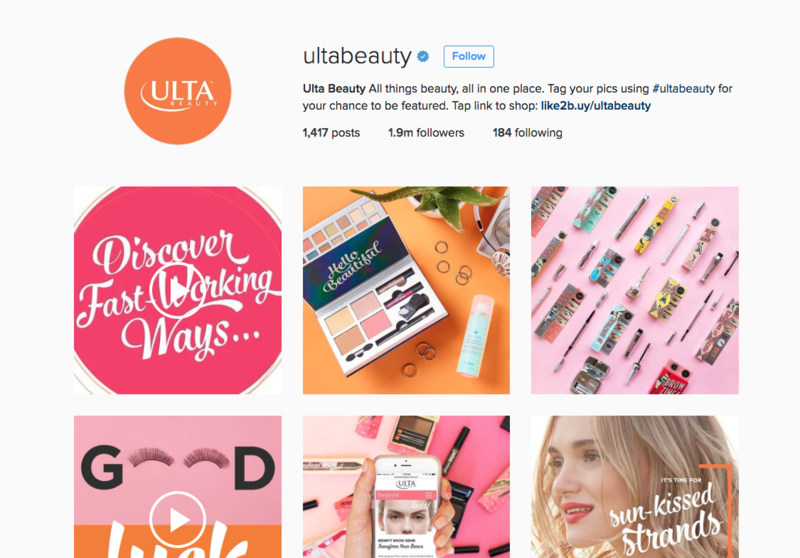 Ulta Beauty does this by including the hashtag #ultabeauty in their bio. There is really no better way to create engagement with your brand than to encourage your customers to create content for it. User-Generated Content (UGC) is authentic and shows loyalty to your brand, so capitalize on it! Consider creating a unique hashtag, asking your followers to post a photo using it, and then posting your favorites to your brand's account. By doing this, fans will feel more connected to your brand, you’ll create buzz and engagement, and perhaps their content will help you to generate your next big idea. 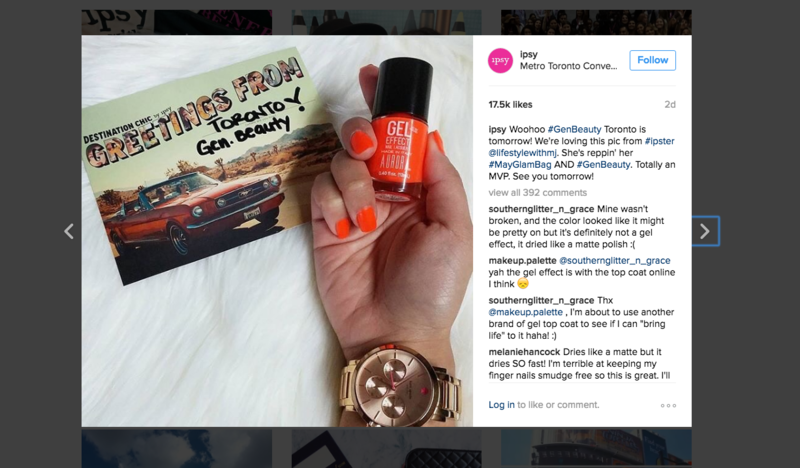 A great example of a brand that routinely leverages UGC for its marketing is ipsy, a purveyor of personalized monthly makeup and beauty product subscription boxes. They’ve created a vibrant community on Instagram where “ipsters” can creatively show off goodies from their subscription box along with their ideas and experiences with them. The brand then regularly re-grams their favorites, tagging the user, and giving them their fifteen minutes of fame. 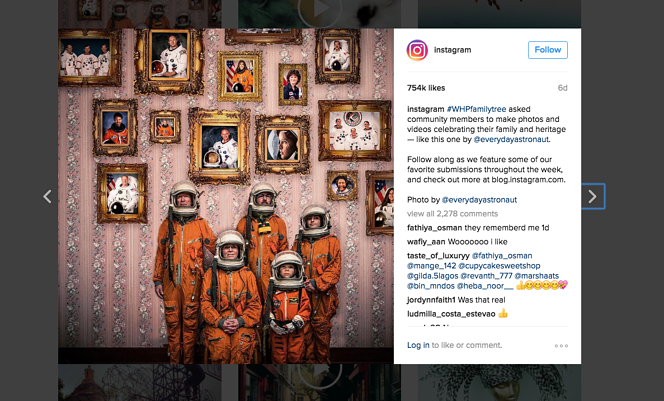 Images are key to helping you tell a story -- especially on an almost entirely visual platform like Instagram. In order for you to effectively tell your story, you can’t use any old photos. They need to be authentic and original. Instagram isn’t the place for stock photos. Consider sharing the login information to your account with members of your team so that they can share their photos as soon as something memorable happens (but do also set guidelines around what can -- and cannot -- be posted on your brand account). If you follow HubSpot on Instagram, you’ve probably noticed that they regularly feature their employees with #hubspotemployeetakeover and #humansofhubspot. Not only do you get an inside look at their team, but also their culture and office. Providing your audience with a story like this will keep them coming back daily by adding a more personal connection to the relationship they have with your brand. They want to know about your company, but also the people behind it. Over the years, Instagram has added and made significant improvements to their video features. Extend your brand’s storytelling experience by using video to capture funny team moments, walk people through your office, highlight how a product works, or create a tutorial. Video doesn’t only have to be for funny cat videos or musicians. Unlike an introductory video or longer form videos typically uploaded to YouTube, Instagram’s 60-sec video limit allows your company to create content that is fun and informational without losing your viewer’s interest. If you’re going to create a video for Instagram, remember to use a tripod and avoid background noise. Because Instagram is inherently a visual platform, the quality of your visuals matters. A brand that does a great job of mixing video into their strategy is Samuel Adams. Your bio is prime real estate for telling users what to do and where to go. Use those precious 150 characters to create a strong call-to-action and guide people. One major difference between Instagram and other social platforms like Facebook, Twitter and LinkedIn, is that it doesn’t allow links in comments or captions. As a result, the link in your bio is your only chance to get people to click through and visit your website. Use your Instagram posts to tease an offer then direct them to the link in your bio to follow through. Make it a practice to tell users how they can sign up or purchase something by clicking on the link in your bio. It’s common to see brands change this link frequently as they share a photo with a new offer. 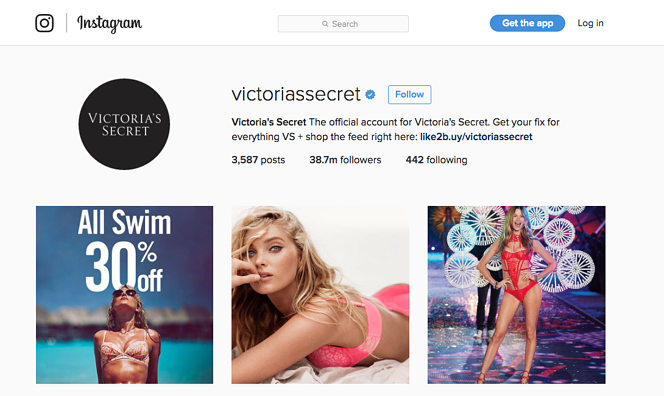 Since it was acquired by Facebook, Instagram ads are far more comprehensive than they ever have been. If you are a particularly visual brand or market a product, consider using these to get in front of more potential customers. Not only will it expand the reach of your post (and bypass the algorithm), but it will enable you to link users directly from your photo or video. 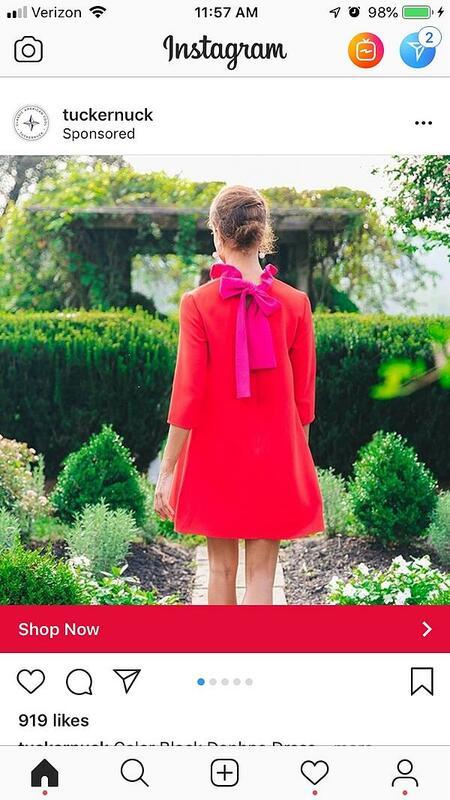 A brand that does a great job with its Instagram Sponsored Ads is tuckernuck. As we mentioned above, hashtags can be a great way to engage with and get found by your audience but do not abuse them. While Instagram allows users much more freedom than Twitter and their strict character count, it’s important to use hashtags that are specific to your brand or relevant to your industry or image. #Catsofinstagram will get you in front of a lot of people, but you probably don’t want to use it unless a friendly feline will be making an appearance. 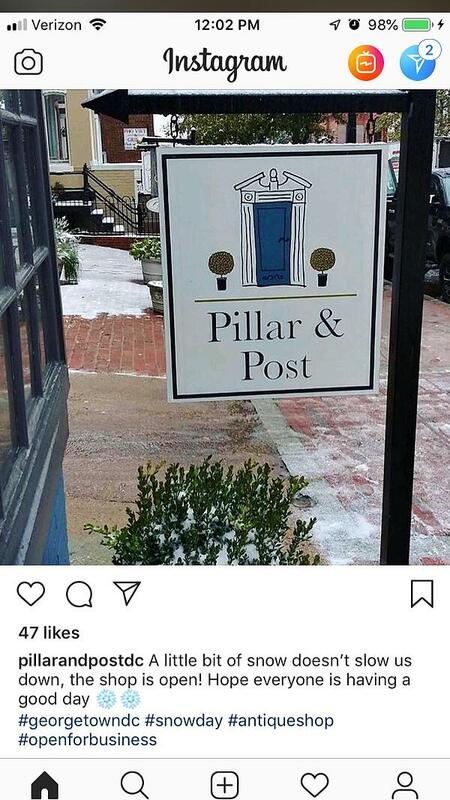 Washington, DC-based antique and home decor shop Pillar & Post hits just the right notes with its use of hashtags. You should never over promote on any social network, but use extra caution on Instagram. It may be tempting to post a lot of product photos or ads you’d regularly see in the sidebar of a website, but try to avoid this. People on Instagram are looking for beautiful, striking images, not sales pitches. If you are going to use Instagram Ads (the platform’s official paid advertisements) make sure that your content is targeted to your audience and still feels natural. Be creative, and post pictures and videos users will want to engage with. You want your brand to have some personality on Instagram. Don’t post generic pictures that look to be carefully staged (i.e. a formal headshot). Show a little bit of a wild side. Take pictures that show your brand’s personality and office culture. You don’t want to come off like a stick in the mud on Instagram. Looking to get more out of social media? For more do's and don'ts of Instagram and other popular social networks, check out our eBook below! It will help you generate more value from your social media efforts.